HoloLens can already see objects, but machine learning could help it identify and interact with them. Microsoft’s HoloLens may have largely faded from public view, but that doesn’t mean that Microsoft’s halted development on it. On Sunday, Microsoft researchers disclosed that HoloLens development is moving ahead, with a new chip that emphasizes machine learning. Specifically, Microsoft said the next generation of its Holographic Processing Unit, or HPU, will support Deep Neural Network processing, with an emphasis on artificial intelligence, or AI. The AI in question isn’t necessarily Cortana, but simply the way that the HoloLens recognizes the real world. Harry Shum, executive vice president of the Artificial Intelligence and Research Group, recently showed off the second version of the HPU. The chip, designed by Microsoft, will be totally programmable, the company said. Microsoft’s HPU is one of the signature features of the HoloLens, responsible for procesing all the information coming from the device’s sensors, including the movement-tracking sensor, the time-of-flight sensor, the inertial measurement unit, and the infrared camera. Another key aspect is that it's totally self-contained. 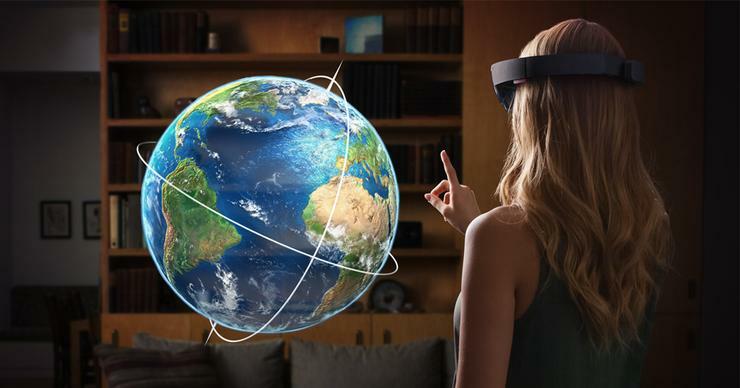 Because the HoloLens is untethered, it can’t depend on a PC for its processing power. The HPU is its brains. What this new HPU will actually recognize is not quite clear. Microsoft’s current HPU—and by extension, HoloLens—does a nice job of recognizing surfaces and edges and projecting virtual objects on top of them. Whether Microsoft can begin to interpret what those real-world objects are remains to be seen. Why this matters: We still don't know whether HoloLens ever make it into the mass market, or remain a sort of semi-shadowy tech for specialized businesses. Microsoft hasn’t said when the next-generation HPU will ship, nor whether entirely new HoloLens will be built around it. What does seem to be happening, though, is that companies are beginning to rethink augmented reality. Google basically buried Google Glass for several years, then recently resurfaced it as a business tool—the same market Microsoft originally targeted with the HoloLens, incidentally.